Have you ever tried Bikram/Hot Yoga? I did yesterday and I can describe it in one word - O.M.G. I knew it was going to be hot. But nothing, and I mean nothing, could have prepared me for that experience. The thermometer in the room said 107 degrees Fahrenheit. And the clock said NOTHING, because there was no clock. It was essentially like being locked in a torture chamber for an unknown period of time. Who invents stuff like this? My money's on the sadomasochists of yester year. It was truly the most frightened I've ever been during exercise. But at least I can now say that I have actively sweated from my feet, because that has always been a life goal of mine. Not. And boy was cotton a bad choice. I realized at the beginning of the class that I was wearing about 90% more clothes than anyone else, but didn't think anything of it because I just thought they wanted to show off their yoga-toned stomachs. By the end of the class, when my shirt had created a makeshift heat trap around my neck and upper body, I realized what was up, as I suddenly had the urge to take off all my clothes and burn them. These are my clothes after the class, soaked through 100%. That just has never happened to me before! I can't decide if I'm going to do it again. I bought a 30-day unlimited pass for $40, but I'm still on the fence about my return. To sum up, I thought I was going to faint for at least half of the class, I spent at least 10% of the class lying on the ground because I thought I was going to pass out, I cried at least once because I thought I was going to pass out, but you couldn't tell it was tears because I was sweating so hard from the almost-passing out. Oh, and then I had an absolute raging headache for the rest of the night. But on the plus side I lost a pound. 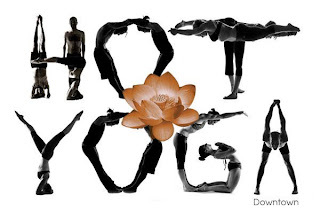 Is anyone out there a die hard proponent of Bikram Yoga? I want to try again but I just need some sort of reassurance that it gets better. Otherwise I just made a $40 donation to a new business. I guess it could be worse! It gets much easier after the first time! It strengthens your mind because you think you're going to die and you have to make yourself stay calm and not freak out. It's crazy!! haha! Keep going.